What? Does this review talk about a novel portraying a comic book superhero? Yes, it does. These days, it seems you need a PhD to understand a simple comic book. Sometimes you need to go back several issues or even years to understand a simple twist on the plot. Is it worth having to study Wikipedia to understand the latest Superman adventure? 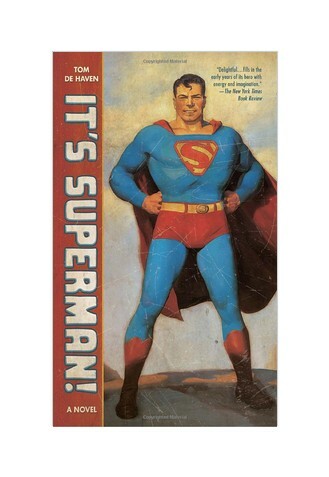 Enter Tom De Haven and his novel about Superman. Back in the 1930s, Clark Kent, from Smallville, Kansas, is beginning to understand his wonderful powers and how can he use them. While Clark is trying to be happy being the only real reporter in his small town, he meets Willy Berg, a terrible influence who makes him leave his father and his farm and travel with no real goal. While Clark travels from Kansas to Hollywood and then to New York in a journey of self-discovery, slowly becoming what will be known to the world as Superman, Louise Lane studies in Columbia and grows up in New York, the home of the Daily Planet and the corrupt Lex Luthor. Eventually, the paths of Louis, Superman and Luthor will have to clash in the eternal, traditional fight. De Haven has respected some of the traditional myths and has totally trashed some others, introducing new characters and retelling the story in his very own way, but It is always delightful to see how he has gone back to the very basics most of the times, putting us in a much simpler and likable universe. While the book seems slow at times, it beautifully captures the spirit of the US during the depression and the prose is always carefully crafted and polished. The book is definitely worth reading, not only as a superhero book, but as a great story being told again. Life usually does not set one single tone. Life usually ranges from funny to tragic; from interesting to intriguing. Life is usually made of a lot of single small stories, sometimes related, sometimes not. You sit down at the dinner table on Christmas night and you ask your family: “Hey, do you remember that man who…?” And so your family has a collection of small stories; you laugh at most of them, and you feel sorry for some others. Jimmy Olsen spent a great deal of his life in the Dominican Republic diving. 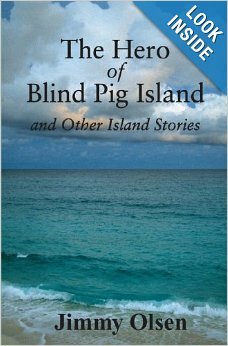 His short stories in this book clearly show his background and his expertise in the subject. Jimmy was able to make me laugh as well as to make me feel sad. His book takes advantage of the short stories format to give you a little of everything and keep you interested, and Jimmy shows that he is able to carry out the mission, regardless of the tone of the story. If you are a busy person with no time to commit to a great lengthy novel, this book will keep you entertained with stories about the sea, the islands and the people who stay close to them. You can buy Jimmy’s book at Amazon here. I have never known the cruelties of war. Have you? I never knew the hunger that comes from having the most limited food ration for months; I never had to go out into the forest to find food, eat grass or try to investigate what plants were edible and which were not. I never felt that dreadful anguish looking at my brother, my father or my son leaving to a war from where they may not return, may not return complete, may not return healthy, or may not return sane. I never experienced that abstract hate against, not a person, but a nation; a hate for a whole group of people that I had never met. And I never had that terrible rancor and oppression feeling, watching my country invaded by force by others; others who said they were better than us; others who claimed that everything that we owned, was now theirs, just because they were better at war than we were. Because I did not go to war and neither did my father or my grandfather, I could not write about it: it would never sound truthful. But reading “Bella… A French Life” by Marilyn Z. Tomlins I learned that a war does not end when a peace treaty is signed: a war goes on for generations, hurting new children before they are even born, pitting them against each other for decades and decades, perhaps until a new and more menacing enemy shows up on the horizon. Bella is the child of a WWII German soldier and a French woman. Need I say more? Time and time again Marilyn has shown us that she is an expert in the Second World War. Reading her, you realize that her knowledge comes not only from studying the subject, but perhaps from hearing family histories from a father, an uncle, a grandparent or someone in the family who experienced the horrors first hand: her narrative feels that personal and close; it hurts. I don’t know if Bella’s destiny was sealed by a war that was declared years before she was born; I don´t know if there was even an opportunity for her to escape destiny or if she is just not strong enough; I just know I saw her torn between the post war France and two loves on a romance story that is different from everything else I have read before in that genre. I sincerely envy Marilyn´s ability to interweave three different timelines in one single book: she jumps naturally between the present, a not so far away romance and a tormented childhood. Her changes in time and narrative seem natural and that is extremely hard to do. Yet she does it time and time again with grace and elegance, imitating the way our own brain works when we remember tormented memories that do not seem to go away. Read Bella´s story slowly and learn about her singular life; be prepared to be happy and sad and angry. But do read it. And be prepared for Marilyn´s next book. I know I am. Nunca he conocido a las crueldades de la guerra. ¿Y tú? Nunca supe del hambre que viene de tener la ración de alimentos más limitada durante meses; nunca tuve que salir al bosque a buscar comida; comer pasto o tratar de investigar qué plantas eran comestibles y cuáles no. Nunca sentí la terrible angustia de ver a mi hermano, a mi padre o a mi hijo ir a una guerra de donde no regresarán, no regresarán completos, no regresarán sanos, o no regresarán cuerdos. Nunca he experimentado ese odio abstracto en contra de, no una persona, sino una nación; un odio hacia todo un grupo de gente que nunca he conocido. Y nunca he tenido ese rencor y ese sentimiento de opresión al ver a mi país invadido por la fuerza por otros, simplemente porque se sentían mejores que nosotros; otros que decían que todo lo que poseíamos, era ahora de ellos, sólo porque eran mejores que nosotros en la guerra. Debido a que yo no fui a la guerra y tampoco lo hicieron mi padre o mi abuelo, no podría escribir sobre ella: no sonaría veraz. Pero gracias a la lectura de “Bella …a French Life” de Marilyn Z. Tomlins me enteré de que una guerra no termina cuando se firma un tratado de paz: la guerra continúa por generaciones, perjudicando a los niños que están por venir, aún antes de que nazcan, enfrentando a unos contra otros durante décadas y décadas, tal vez hasta que un nuevo y más amenazante enemigo aparezca en el horizonte. Bella es la hija de un soldado alemán de la segunda guerra mundial y de una francesa. ¿Necesito decir más? Una y otra vez Marilyn nos ha demostrado que es una experta en la Segunda Guerra Mundial. Leyendo su nuevo libro, me di cuenta de que su conocimiento viene no sólo de estudiar el tema, sino tal vez de escuchar las historias de familia de un padre, un tío, un abuelo o alguien de la familia que ha experimentado el horror de primera mano: su narrativa se siente personal y cercana; duele. No sé si el destino de Bella fue sellado por una guerra que fue declarada años antes de que naciera, no sé si incluso había una oportunidad para que ella escapara de destino o si simplemente no fue lo suficientemente fuerte; sólo sé que la vi debatirse entre la Francia de la posguerra y dos amores, en una historia romántica que es diferente de todo lo demás que he leído antes en ese género. Envidio sinceramente la capacidad de Marilyn para entrelazar tres líneas de tiempo diferentes en un solo libro: ella salta de forma natural entre el presente, un no tan lejano romance y una infancia atormentada. Sus cambios en el tiempo y la narrativa parecen naturales y eso es muy difícil de hacer. Sin embargo, ella consigue hacerlo una y otra vez con gracia y elegancia, imitando la forma en que nuestro propio cerebro funciona cuando recordamos los recuerdos tormentosos que parecen no desaparecer nunca. Lee la historia de Bella lentamente y conoce su vida singular; prepárate para sentirte feliz y triste y enojado. Pero lee. Y prepárate para el próximo libro de Marilyn. Sé que yo lo estoy. Puedes comprar el libro en Amazon, presionando aquí.